This entry was posted in Baking and Cake Decorating, Gumpaste Details, How did I do that Cake, Tools reviews, Tutorials and tagged advanced cakes, baking, Cake, cake basics, cake decorating, cake design, cake recipes, cake tutorial, Design Me a Cake, Edna De la Cruz, fondant, gum tex, gum tragacanth, gumpaste, learn to decorate cakes, tylose, tylose gumpaste, white chocolate by Edna De la Cruz Design Me a Cake. Bookmark the permalink. Thank you for your post. I know that it takes a lot of your time. I never thought about making my own gumpaste until the other day. I was trying to decide which would be better to use, fondant/ gumpaste mix or straight gumpaste for a bow on a cake. 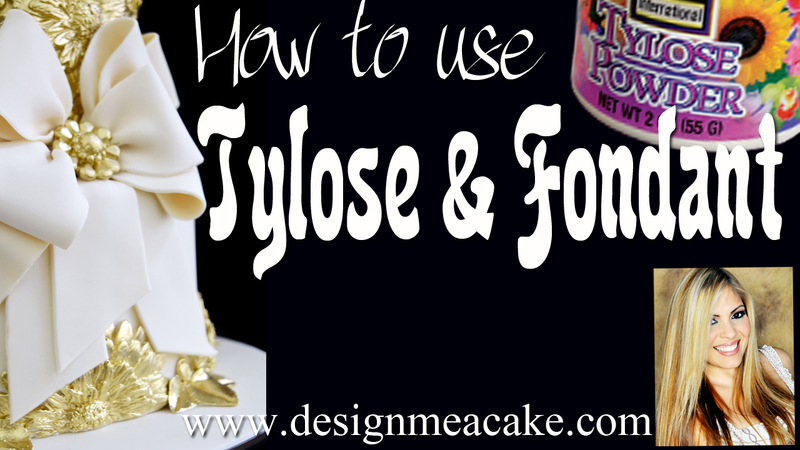 I think I will save time and money and add what I have… Tylose. I have before. I just don’t think of it.